Your browser is unsupported. Some features on this site may not work as intended. Clean Soils Environmental, Ltd. is comprised of a highly qualified team of professionals including geologists, engineers, environmental scientists, and field technicians specializing in a wide variety of environmental site assessments, remedial activities, permitting, and regulatory compliance. CSE believes that the success of a project depends upon fully understanding our client’s needs which is benefited by a high level of involvement by key senior personnel. This participation helps to facilitate good communication, focused efforts, and the attention to detail that our clients have come to appreciate. Our team’s flexibility and extensive consulting experience allows us to seamlessly integrate our staff with your project to quickly and efficiently to address an outstanding range of projects. President/LSP Mr. Mitchell is the Co-founder and President of CSE as well as the registered Licensed Site Professional (LSP License # 1965) and Certified OSHA Hazardous Waste Site Cleanup Supervisor. In addition, Mr. Mitchell holds a Certificate of Professional Achievement in Hazardous Waste Management from Northeastern University Center for Continuing Education and maintains a full membership with the Massachusetts LSP Association. Mr. Mitchell, who earned a B.S. degree in Geological Sciences from Salem State University, has held positions in the areas of oil and hazardous waste assessments and cleanups, oil and gas exploration, geology, and geophysics in both Massachusetts and Alaska. His wide range of environmental knowledge and experience bring an interdisciplinary approach to solving environmental problems. Mr. Mitchell is one of the few LSPs that still perform field services including cleanup oversight, collection of field data, management of laboratory data, and more. Join “Captain Bill” on a Fishing Voyage! Call “Captain Bill” to schedule your complimentary fishing voyage today! Atlantic Striped Bass, 45.5 Inches, 35 Lb. Love Fishing? Let’s catch the big one soon! Contact “Captain Bill”! Project Manager, Geologist Mr. McAndrews has been with the company since 2012 after graduating with a B.S. in Geological Sciences at Salem State University, and was promoted to Project Manager in 2013. Kevin oversees all aspects of preliminary and comprehensive assessments and remediation activities under the MCP, and is responsible for all aspects of project management including work scope and budget preparation, client consultation, coordination and oversight of environmental field investigations, remedial action planning, design and implementation, and preparation of reports and regulatory submittals. He is also proficient with the regulatory requirements of Massachusetts Chapter 21E Site reconnaissance and Phase I & II ESAs required during real estate transactions. A skilled communicator, he has collaborated with LSPs on numerous MCP submittals, contributed to professional and technical opinions, and successfully overseen the work of drilling, excavation, and remediation contractors. His relevant field experience involves conducting subsurface investigations for modeling contaminant migration pathways in various geologic and hydrogeologic conditions by employing various types of drilling and multi-media sampling techniques. Such activities include the advancement of soil test borings, classification of soils and rock cores, test pit excavations, installation of groundwater monitoring wells, sampling of soil and groundwater, elevation surveys, assessment of vapor intrusion pathways via installation of soil gas probes and sampling of soil gas and indoor air. His remediation experience includes in-situ chemical oxidation, soil excavation oversight, and groundwater/product recovery and treatment systems. Finally, he holds a Remote Airman Certificate and pilots the unmanned aircraft system (UAS) or ‘drone’ for aerial surveillance and reconnaissance during site activities. CSE offers our clients Unmanned Aircraft System (UAS) or ‘drone’ services to assess site locations quickly, cost effectively, and — most importantly — safely. 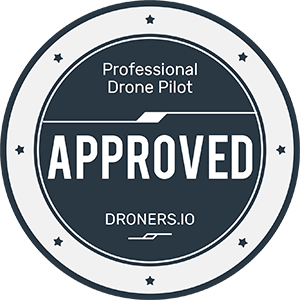 We are fully insured and FAA Part 107 certified. We provide our clients aerial footage for marketing, mapping, inspection and data collection. We own a DJI Mavic Air and an Autel Robotics X-Star Premium, both drones are equipped with the latest camera technology offering 4k Ultra High-Definition and wide-angle lenses to capture the highest quality video and photos possible. We are constantly leveraging technology to provide our clients with better quality information while streamlining their processes. We recently partnered with DroneDeploy a leading drone software platform for aerial site intelligence in real time for industries including Agriculture, Construction, Roofing & Insurance, Solar Energy, Surveying, Mining & Aggregates. With this program we can provide high quality orthomosaic maps with elevation data, volumetric calculations, 3D models and agricultural NDVI surveying for all levels of site planning and assessment. Chief Financial Officer Ms. Prosser is the Co-founder, Chief Financial Officer, and former President of CSE. Ms. Prosser holds a B.S. degree in Business Education and a Masters degree in Business Administration (M.B.A.) from New Hampshire College and has completed advanced coursework in the areas of environmental assessment and environmental law. In addition, she has studied oil and hazardous waste cleanup regulations in seminars sponsored by MassDEP. Ms. Prosser manages all the financial and operational aspects of business activities including planning and implementation of corporate growth and investment strategies.